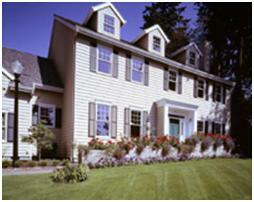 Specifically the debtor had a one quarter interest in real estate that was subject to a life estate. The debtor filed bankruptcy and attempted to claim her one quarter remainder interest as exempt, pursuant to the Massachusetts Homestead statute. The trustee objected to the exemption on the basis that the Massachusetts homestead statute does not specifically protect the debtor's type of ownership interest. The judge and panel agreed with the trustee, as the statute only protects a "sole owner, joint tenant, tenant by the entirety, tenant in common, life estate holder, or holder of a beneficial interest in a trust", none of which specifically capture the debtor's ownership type. Despite the debtor's argument that creating a life estate with a remainder interest by simple deed is a common and cost effective estate planning tool, the court held that the specific language of the statute could not be ignored, and the legislature's failure to include remainder interests meant the homestead protection did not apply to the debtor. As such, the beneficiary of a remainder interest seeking bankruptcy protection would be better off talking to an estate planning attorney about establishing a trust in order to protect the real estate prior to filing bankruptcy. Vacation season is coming soon after the holidays. Are you planning a trip? When planning to travel, it is common to experience nervousness. What would happen if you did not make it safely to or from your destination? Fortunately, you can establish an estate plan before your trip and quiet those fears. A simple plan includes a health care proxy, durable power of attorney, last will and testament, and possibly a homestead declaration. Should you experience an illness or injury while traveling that leaves you unable to handle your medical or financial decisions, having a health care proxy and durable power of attorney in place will make a world of difference. A health care proxy is a document in which you designate someone to make health care decisions for you if you are incapacitated. Similarly, a durable power of attorney is a document in which you designate someone to make your financial decisions. Having these documents in place allows the trusted person you have named to start handling your affairs as soon as you need assistance. God forbid you should pass away while traveling. Your family and loved ones would surely be shocked and distraught. But in the event that tragedy occurs, a last will and testament can provide some order during that otherwise difficult time. Your will sets forth the distribution of your probate estate, which are the assets that you leave in your name alone with no named beneficiary. In your will, you will also designate an executor, who is the person who will be responsible for carrying out your plan. Should you have minor children, you will also name a guardian, and possibly a trustee, who will be responsible for taking care of your children in your absence. This planning takes a tremendous burden off of your family members. For homeowners, a homestead declaration is a necessity. This is a one-page form that, once recorded in the Registry of Deeds, affirms that your principal residence is your homestead. It will protect the equity in your home up to $500,000 from judgments that arise after the declaration was recorded. Should you happen to cause an accident while traveling, the declaration will ensure that even if you are sued and your insurance is not sufficient, up to $500,000 of the equity in your home will be protected. Vacation season is upon us, and it seems that everyone is planning to get away. Are you planning a trip? 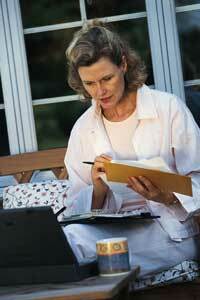 Is your estate plan up to date? Many people contact their lawyer within days of taking their trip. This is not ideal, as you should not rush the completion of your estate plan. If at all possible, you should contact your attorney at least one month in advance of leaving. Should you find it necessary to establish a plan quickly, establish a simple plan and commit to refining it upon your return. This includes a health care proxy, durable power of attorney, last will and testament, and possibly a homestead declaration. Should you experience an illness or injury while traveling that leaves you unable to handle your medical or financial decisions, having a health care proxy and durable power of attorney in place will make a world of difference. A health care proxy is a document in which you designate someone to make health care decisions for you if you are incapacitated. Similarly, a durable power of attorney is a document in which you designate someone to make your financial decisions. Having these documents in place allows the trusted person you have named to start handling your affairs as soon as you need assistance. God forbid you should pass away while traveling. Your family and loved ones would surely be shocked and distraught. But in the event that tragedy occurs, a last will and testament can provide some order during that otherwise difficult time. Your will sets forth the distribution of your probate estate, which are the assets that you leave in your name alone with no named beneficiary. In your will, you will also designate an executor, who is the person who will be responsible for carrying out your plan.Should you have minor children, you will also name a guardian, and possibly a trustee, who will be responsible for taking care of your children in your absence. This planning takes a tremendous burden off of your family members. For homeowners, a homestead declaration is a necessity. The homestead declaration is a one-page form that, once recorded in the Registry of Deeds, affirms that your principal residence is your homestead. The homestead declaration will protect the equity in your home up to $500,000 from judgments that arise after the declaration was recorded. Should you happen to cause an accident while traveling, the declaration will ensure that even if you are sued and your insurance is not sufficient, up to $500,000 of the equity in your home will be protected. Your Will, Health Care Proxy, Durable Power of Attorney, & Homestead Declaration are four estate planning documents you need right now. They assure that your affairs will be handled according to your wishes while incapacitated, establish how your assets will be distributed when you die, and protect your home from lawsuits. Gina M. Barry, Esq. [email protected], 413.781.0560. This video has been prepared by Bacon Wilson, P.C. for informational purposes only and is not intended and should not be construed as legal advice. This information is not intended to create, and receipt of it does not constitute, a lawyer-client relationship. Viewers should not act upon this information without seeking professional counsel. Do not send us information until you speak with one of our lawyers and get authorization to send that information to us. It often happens that someone dies and a family member bring me their loved one’s will to probate in probate court. In reviewing the Will, we will often find that there are hand-written notes in the margins, “scratch outs,” and other attempted hand-written changes, sometimes with initials and dates, and other times none. In most states, those attempted changes to the original signed Will are not effective. In some situations, the probate court may also request or require that one of the witnesses to the Will, or the preparer, or original witnesses to the Will appear in court to testify as to whether these changes were made at the time the Will was signed or subsequent to the Will being executed. It’s not uncommon for people to believe that because they made hand-written notes on their Will or wrote an addendum, that will effectively change their Will. They do this to save time, or to prevent spending extra money on fees for professional services to revise what was previously a valid drafted will. I have even received letters from clients who decide to make a change, but they never got around to getting into the office to formalize those changes. They think that this will suffice in case there is an accident, and they think that these letters of instructions will help. Although it is helpful to have something in writing that expresses a client’s desires, the Will itself may not be legally altered by these signed letters. These errors in judgment on the part of a client may cause the intended changes to be ineffective and also cost the estate a significant amount of money if and when the Will is probated and a contest to the Will is defended by the estate. Those changes, which are likely relatively minor, are not expensive, and in some cases, a simple codicil, (document that changes the Will,) may be all that is necessary, as opposed to re-drafting the entire Will. When a change in circumstances, assets structure, or a family situation occurs, it is best to contact your attorney so that your Will may be made promptly and correctly changed. At the same time, it may be advisable to review the individuals named within your Will as guardians, executors and trustees, as well as other documents, such as your Health Proxy and Power of Attorney, to ensure that the proper named are still appropriate to serve in their respective capacities. There may also be changes in the total assets you own, which may require that a trust to be created. Or, if assets have significantly diminished, then it is possible that the need for a trust has diminished and reciprocal Wills may suffice. By: Hyman G. Darling, Esq. Legislation that has been submitted to the Massachusetts legislature by the Real Estate Bar Association (REBA) proposes to make significant changes to what many consider to be an outdated homestead statute. This Homestead Bill has been proposed in reaction to the frustrations of bankruptcy judges who often struggle to effectively apply the older and ambiguous statute. Additionally, REBA hopes that the revisions will provide more consistent protection for debtors and creditors alike. Automatic Homestead. Of great benefit to Massachusetts homeowners, the proposed Bill would automatically provide a safety net that protects up to $125,000 of home equity for all homeowners, regardless of whether the homeowners filed a declaration. Homeowners who record a homestead declaration would still receive protection of their equity up to $500,000. Signature. A flaw in the current homestead statute is that only one owner may acquire a homestead in any such home. Thus, under the current statute, joint owners, including spouses, currently have to decide which individual is more likely to incur liability for a claim that is not covered by insurance. The proposed Bill would allow both spouses to file, even if only one spouse is named on the title. Second Homestead. Under the proposed Bill, a second homestead filing would relate back to the date of the first filing. This protects against liability incurred between the two filings that could compromise the second declarant's equity. Trust. In complete contrast to the current statute, the Bill would provide protection to beneficiaries of trusts that hold title to the residence, provided that the home is, in reality, the beneficiaries' principal residence. Transfer of Title Between Spouses and Co-owners. Currently, spouses or co-owners who transfer title between themselves without explicitly retaining homestead rights inadvertently terminate their right to protection. Under the proposed Bill, such transfers would not terminate homestead rights unless each co-owner or spouse expressly releases their rights to protection. Sale Proceeds. Under the current homestead statute, there is no express protection for homeowners who sell their home and do not immediately reinvest the proceeds in a new principal residence. Additionally, the current statute also affects homeowners who sustain a casualty loss and do not immediately spend the insurance proceeds. The Bill would protect the proceeds from the sale of the protected residence for up to 12 months. Additionally, homeowners subject to a casualty loss would be protected for up to two years after the date of the loss. Mortgage. Lastly, the Bill would prohibit mortgage lenders from requiring homeowners to terminate their homestead rights in order to secure a mortgage. Homestead Declaration – a no-brainer to protect your property from creditors and judgments against you. In Massachusetts, homeowners and condominium owners may file a Homestead Declaration to protect $500,000 of equity in their property. It must be filed in the Registry of Deeds for the county in which the property is located. This document protects you from creditors or judgments against you in the event that you are sued. It does not, however, protect you against existing mortgages, long-term care claims for Medicaid payments by the Division of Medical Assistance, or existing claims or lawsuits. The Declaration of Homestead is a relatively straight-forward document that is filed after being notarized. However, there are certain special situations that require attention. One of these is a situation where you purchase a home and then acquired property adjacent to it. In this case, all deeds must be referenced within the Homestead Declaration to capture the exemption on all property. Another situation might be when you purchase property, obtain a mortgage and then put a Homestead Declaration on record. If you then refinance and pay off the prior loan, the new mortgage and related documents may in fact release the Homestead Declaration previously recorded, thus requiring a new one to be recorded. It must be noted also that a Homestead Declaration is only for property used as your principal residence. This protection doesn’t apply to a second home. A common misconception is that the Homestead Declaration will protect you against catastrophic illness expenses. This is not the case. In fact, under the law, there is a specific exemption for long-term care expenses such as those incurred by nursing home or long-term care facility expenses that are paid by the State. If you have a Homestead Declaration and incur these expenses, the exemption will not protect your property. If you own a two-family or multi-family dwelling, a Homestead Declaration may be filed on that property as long as you live in it as your principal residence. Naturally, when you sell property and then purchases replacement property, a Homestead Declaration must be filed on the new property, as the protection does not transfer from one property to another. If your Homestead Declaration was filed previously, when the exemption was either $100,000 or $300,000, you need not file a new Homestead Declaration, as the current exemption of $500,000 includes those Declarations previously recorded. The new bankruptcy law signed into effect on April 20, 2005 by President Bush may affect the equity in a debtor’s home. Substantial concern has been raised with regard to the ability of a debtor to protect his or her residence. Under present Massachusetts law, debtors can elect to use the Massachusetts Homestead Exemption to protect $500,000 of equity from creditors, either in a bankruptcy or non-bankruptcy situation. Under the present law, and effective immediately from the date the law was signed by President Bush, that figure has been reduced to a maximum of $125,000 in many situations. The ability to increase the $125,000 amount will be dependent upon the length of time that the debtor has owned the home, how long he or she has lived within the state and the source of the funds used to purchase the residence. This is a major change from the former law protecting residential property from loss when faced with financial difficulties.